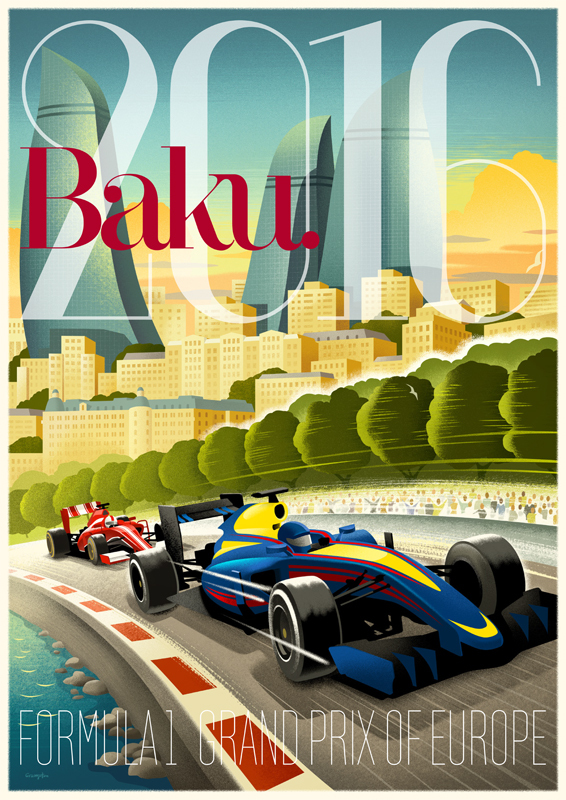 Michael Crampton created this stunning retro artwork for Baku Magazine. Michael was commissioned to illustrate a special pull-out poster to celebrate Azerbaijan's capital city becoming the latest addition to the Formula 1 calendar. To see more of Michael's work, click here. Michael Crampton is represented by Meiklejohn. Published on 4 May 2016.